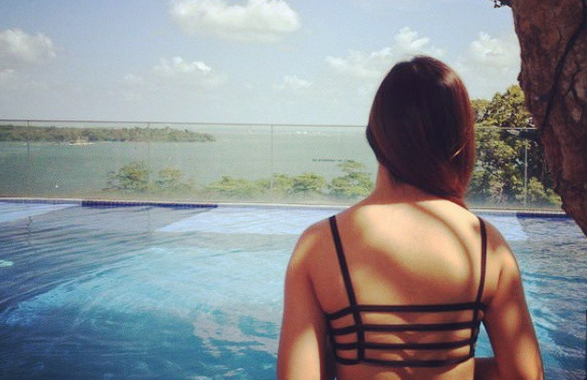 SG Budget Babe: Should I get a HDB or a bank loan? In my last post, I promised to elaborate more on the common dilemma faced by most new homeowners: should you get a HDB or a bank loan? 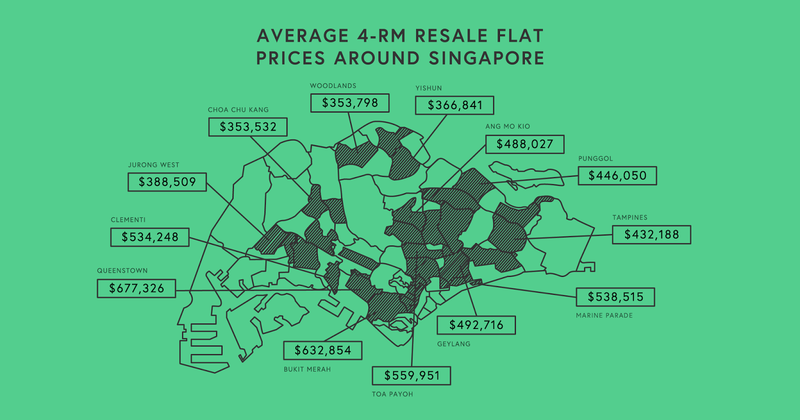 To put things into context, BTO prices range from $200k (Yishun) - $600k (Bidadari), whereas the average price of a 4-room HDB resale flat in Singapore can go up to $670k in a central location. Depending on how much housing grants you're eligible for (calculate here! ), most of us probably will need to take out a loan to pay off the remaining sum. I've mentioned about how I'm generally more inclined towards bank loans at the moment, given that they're charging lower interest rates. Aside from the DBS Home Loan which I previously highlighted here as a good deal, the interest charged by the rest of our local banks have stayed below 2.15% in the last decade. 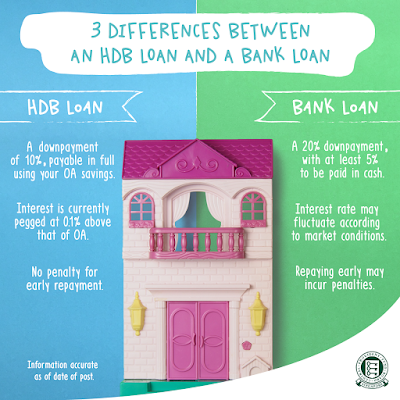 Eligibility considerations aside, HDB and bank loans offer different benefits, and there really is no right or wrong answer to which option is better. 1. How much cash can I spare for the downpayment? If you do not have much spare cash lying around, you should probably go for a HDB loan instead as bank loans require you to pay 5% of the initial downpayment for your property in cash. On the other hand, HDB loans allow you the flexibility of paying this either in cash or in CPF, if you come up short. 2. Do I prefer stable repayments, or lower interest? HDB loans offer stability and a peace of mind, as your interest rate is generally fixed (2.6% over the last 15 years) and is unlikely to change in the event of economic boom / downfall. 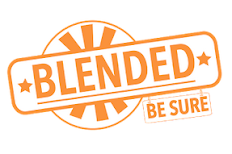 This allows you to plan in advance and not have to deal with any surprise with loan repayments. The biggest appeal of bank loans are their lower interest rate and promotions, where you can enjoy either dirt-cheap interest rates for a promotional period, or get a free gift with successful loan application, or both. But while the interest rate of bank loans may be lower than HDB's (as it has been for the last decade), there is no guarantee that the bank will not raise the interest rate, especially if the Fed decides on the same action. Will you have money to pay off the extra if that happens? 3. Do I want to utilise my CPF for my house? I've noticed that those who have a positive view of the CPF and see it as a vital component of their retirement nest are generally less inclined to tap on their CPF monies for their housing, preferring to opt for cash instead. On the other hand, folks who are frustrated by the fact that their CPF monies are "locked up" generally choose to use it for their housing repayments, as you can't simply withdraw your CPF as and when you want otherwise. Although you can use your CPF to pay for your bank loan, there is a cap, which is known as the CPF Withdrawal Limit (120% of the Valuation Limit of your property). 4. If I do not use my CPF, do I have cash to finance my monthly repayments? Couples who opt for CPF repayments on HDB loans usually have little to worry about every month because they need not fork out a single cent (unless they buy a reallllllly expensive flat...). Thus, it is much easier to manage your monthly household finances. Those who are on bank loans typically get stressed out if they lose their job or get a pay cut, as it may affect their ability to repay their monthly loan. 5. How likely am I to repay the loan early? A key consideration would be the early repayment penalties imposed by banks if you choose to pay off your entire loan earlier than the loan period (usually 25 years), whereas there's no such thing with a HDB loan. 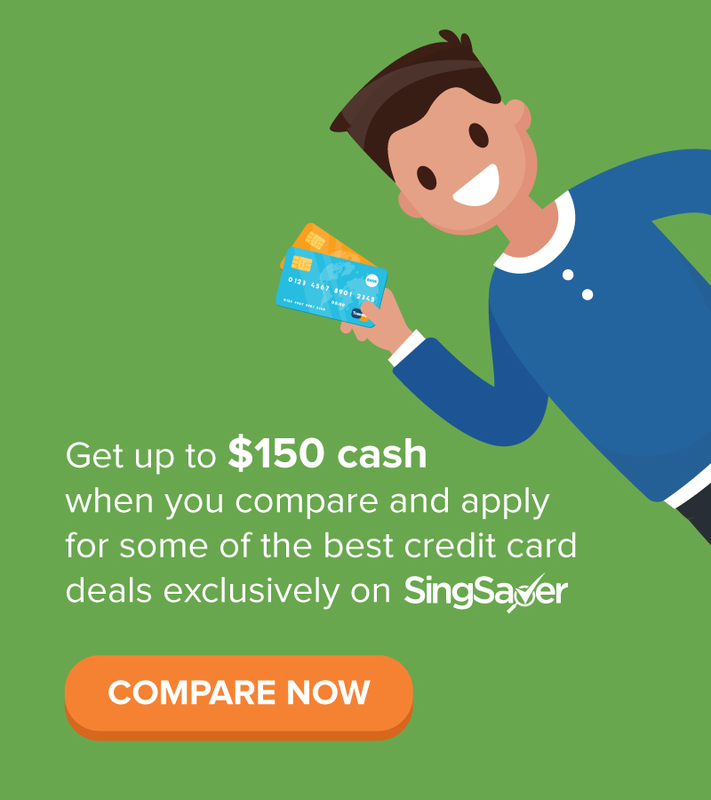 If you prefer not to take any risks and there's a chance that you might pay off your loan early, opt for the HDB loan instead. At any rate, you'll also be able to refinance it and switch to a bank loan later on if a good opportunity (i.e. promo rate) comes up. If you want to enjoy higher savings and you're fine with taking the the risk that your interest rate might fluctuate, then bank loans might be a better option instead. However, just ensure that you've enough liquid cash (ideally, an emergency fund which I've detailed here). Before you buy, check out this quiz to find out how much CPF housing grants you're eligible for! after the lock in period with bank loan, usually 3 years, you can pay off part of the capital and refi with the existing or another bank (dep on the rates) 3 years is probably a good time period to save a few 10s of K to pay down the capital. That's a great tip, thanks for adding on! We've not refinanced yet so I didn't know this part haha. hi you managed to get your bto already? Nope. Due to family responsibilities on both sides, plus the increase in housing grants for resale, we're now looking at resale within a limited location radius. 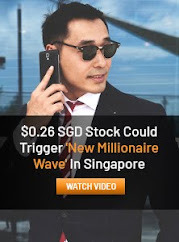 If someone want to read more about that loans I think this is the right place for you! Hey Fiona thanks for inspiring me cause some people just love to put people down when they are afraid to step out of the comfort zone. Whoever who told you to ask drinks from guys are truly cheap. As a sidenote, as a adult near your age, does office hours job only force average singapore to work until they die? Financially wise I totally no direction. Might you give me a few tips from here?